The payment of interest is allowed as a deduction under Section 24 of the Income Tax Act. The tax is deducted on an accrual basis. Maximum tax deduction allowed under Section 24 is Rs.2 lakh. This can be claimed on yearly basis even if no payments have been made during that year. If the house is not constructed within 3 years from the end of the financial year that the loan was taken, you will be allowed to claim only Rs.30,000 as deduction. The component of your EMI which goes towards the principal is eligible to be claimed under Section 80C of the Income Tax Act. A maximum of Rs. 1.5 lakh can be claimed as deduction under Section 80C. The tax deduction is on the payment basis irrespective of the year for which the payment has been made. The amount paid towards stamp duty charges and registration fees is allowed for deduction under Section 80C. 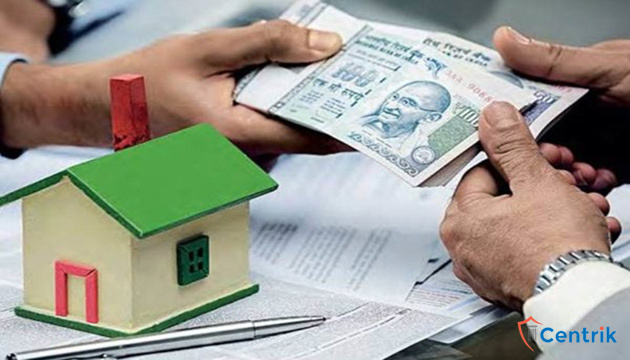 In the event you are repaying the home loan under EMI plan, you will be eligible to claim both the interest and principal component on the payment you make during that year. If you decide to let out the property, the treatment for principal amount repaid stays the same. But the interest paid can be completely claimed as deduction. There is no cap of Rs.2 lakh on rented property. Let-out property can claim deduction for loan taken for repairs, renewal and reconstruction without a limit. Most people opt to take a joint loan as it increases the loan amount eligibility. If you have taken a home loan along with your wife who is working then you both can claim separate deductions in your ITR. The deductions can be claimed in the ratio of ownership. If you have multiple home loans, then you can avail tax benefits. But the benefits available towards principal repayment is limited to Rs.1,50,000. The interest paid on loan is eligible for deduction up to Rs.2 lakh under Section 24. There is no cap of Rs.2 lakh under Section 24 if the house is let-out. One of your property can be chosen as self-occupied and the other will be considered as let-out property. The above mentioned points are a brief about the tax benefits of home loan. Centrik will be help you in analysing these points in detailed and help you in paying less tax.